A limo service operator appeared in court this evening to face a charge of criminally negligent homicide after a weekend crash that left 20 people dead in upstate New York. 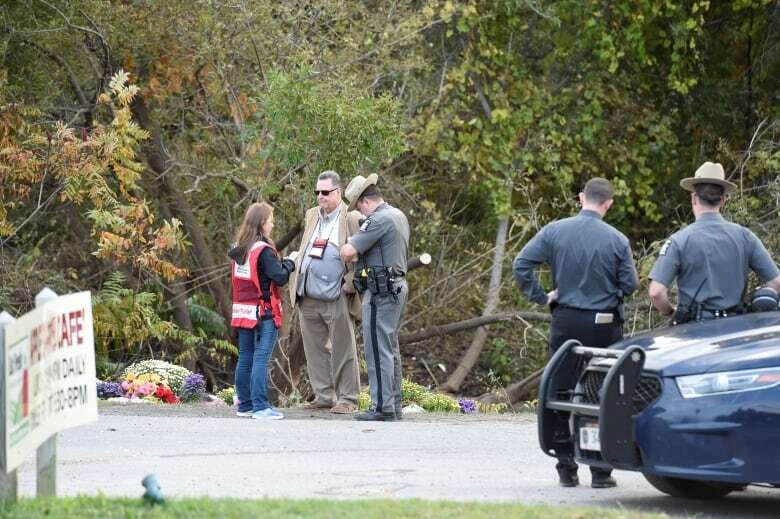 A limousine service operator has been charged with criminally negligent homicide in a crash that killed 20 people in upstate New York, while police continued investigating what caused the wreck and whether anyone else will face charges. 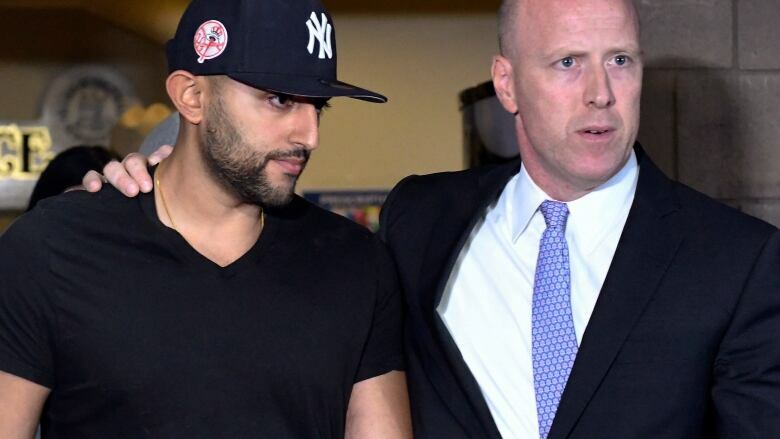 Nauman Hussain, 28, showed little emotion as he was arraigned Wednesday evening in an Albany-area court, and he ignored shouted questions from reporters as he left after posting $150,000 US bond. A judge had entered a not guilty plea for him. Hussain's lawyer, Lee Kindlon, said earlier Wednesday that his client isn't guilty and accused police of rushing to judgment. Kindlon, said his client felt unsafe at home because he'd received threats. Prestige Limousine, based in Gansevoort, N.Y., has come under intense scrutiny since Saturday's crash in Schoharie. The driver apparently missed a stop sign and plowed into a parked SUV before coming to rest in a ditch. Two pedestrians and all 18 people in the Prestige super-stretch limo were killed. The passengers, including a newlywed couple and four sisters and their husbands, were on their way to a birthday party. 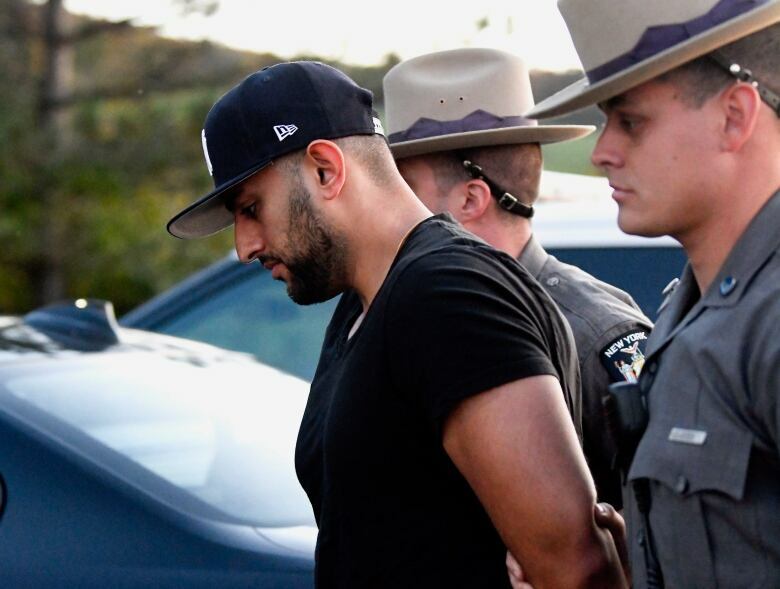 Hussain, 28, hired a driver who shouldn't have been behind the wheel of such a car, and the vehicle shouldn't have been on the road after state inspectors deemed it "unserviceable" last month, state police Superintendent George Beach said at a news conference. Police charged Hussain with a single count involving all 20 victims. He has had a brush with law enforcement before. State police accused him and his brother of claiming each other's names after a 2014 traffic stop, which happened while the brother was driving without a valid licence. The limo had been written up Sept. 4 for code violations, including a problem with the malfunction indicator system for the antilock brakes. A sticker was placed on the vehicle declaring it "unserviceable," state Department of Transportation spokesperson Joseph Morrissey said. Prestige's lawyer has said the safety issues were corrected. He said the driver might have misjudged his ability to stop at the bottom of a hill. Morrissey said Kindlon's assertion that the code violations had been corrected and the vehicle cleared for service was "categorically false." Even if the repairs were made, the limo would have needed to be reinspected and the owner would need approval again to transport passengers, a state transportation department spokesperson said. Kim Lisinicchia told CBS in an interview broadcast on Wednesday that there were several times she heard her husband, Scott Lisinicchia, state: "I'm not going to drive this, like this. You need to get me another car." But then "he trusted in what the limo company said, that the cars were all right." "He was in excellent health. He was an excellent driver. For over 20-plus years he drove a tractor-trailer," Lisinicchia said. Services have been set for some of the victims, including 24-year-old Savannah Devonne Bursese, of Johnstown, the accident's youngest victim. Her family is holding a private service Friday. 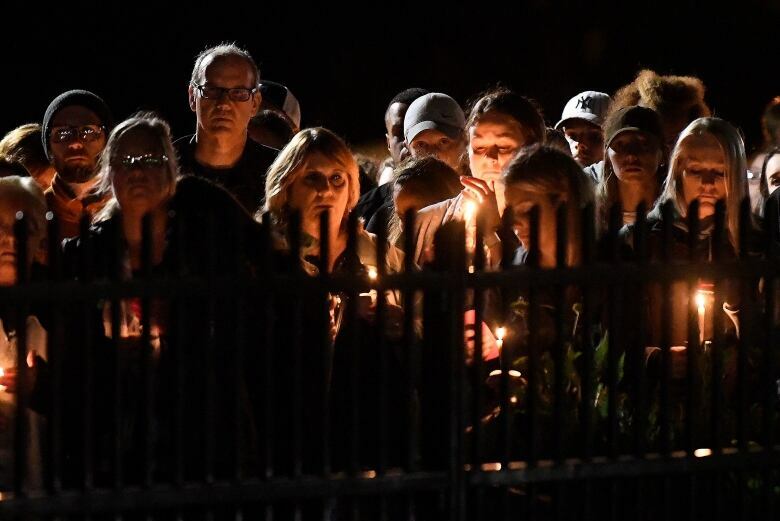 In nearby Amsterdam, a funeral mass is scheduled Saturday for the four King sisters, three of their husbands and the brother of one of the husbands.